Consumers worldwide know our work, and chances are, if you’ve purchased products from such brands as Reebok, Clairol, Clorox, Elizabeth Arden, Gillette, Johnson & Johnson, Kraft and PepsiCo. since 1983, you’ve seen our work firsthand, as well. Today, Meredith-Springfield is recognized as a premier blow-molded products manufacturer, trusted by top brands to design, engineer, develop and produce plastic bottles, containers and highly-technical hollow articles to house, market and transport their products. Now, having earned Safe Quality Food Institute (SQF) certification, we are even more qualified to meet customer needs. And people have taken notice. 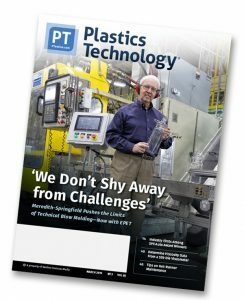 We’re proud to be Plastics Technology’s March 2019 cover story, and named as the 2017 Manufacturer of the Year by the state of Massachusetts’ Manufacturing Caucus. Recognitions like this are a testament to the quality and specialty products we pair with top-notch customer service. Unlike many in the industry that work with stock molds, Meredith-Springfield works primarily with privately-owned custom molds, ensuring the ability to create products unique to each client’s company and brand. 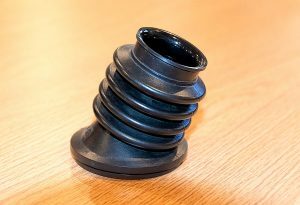 Whether you require a prototype, long- or short-run, we never shy away from a challenge, and instead is poised and ready to deliver a custom solution. Contact us today by filling out the contact form on this page or calling 413-583-8600. Need some inspiration? Take a look at our huge inventory of products we’ve created for our clients. Meredith-Springfield is always looking for bright talent to join the team. If you are eager to join our team, use our online employment form found here.